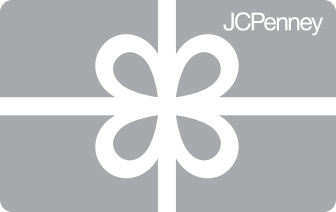 Featuring 875 storefronts across the United States and a powerful e-commerce site, JCP.com, JCPenney offers a wide range of appliances, toys, home décor, jewelry, and clothing for women, men, juniors, kids, and babies. Visit JCPenney to experience Sephora Inside JCPenney, sign up for their convenient mobile rewards program, and check out new product lines like Tracee Ellis Ross, Frank + LULU, Libby Edelman, and Frigidaire. JCPenney gift cards are perfect for anyone looking to spice up and expand their home or wardrobe. Whether someone is looking for clothing or home furnishings from a collection of private, national or exclusive brands, JCPenney gift cards give them the freedom and power to get what they need when they want it. Free shipping on all orders over $99, and free shipping to any store on orders over $25. The INCENTIVE audience was asked to select suppliers that demonstrated excellence and quality in merchandise, gift card, and travel categories. JCPenney Incentive Sales was chosen as one of the best!